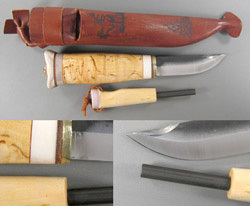 Here is the selection of Kellam's new KT Line knives. 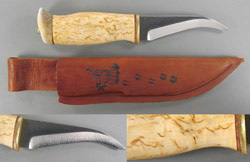 All KT Line knives are hand made in Finland. 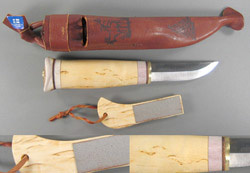 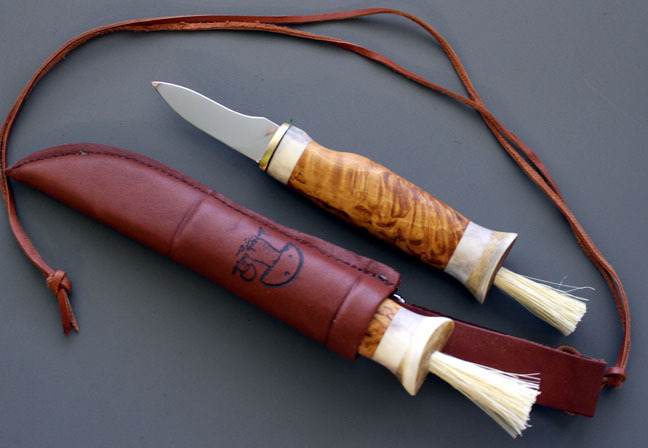 Materials used in the handles are curly birch, reindeer antler with leather spacers and brass bolsters. 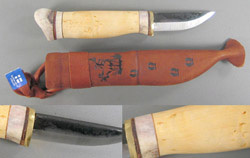 The blades are either carbon or stainless steel. 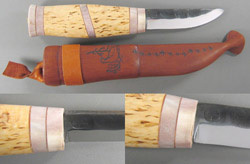 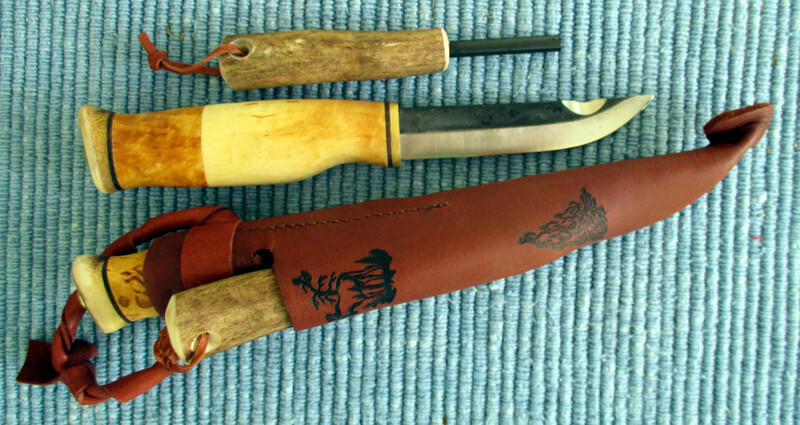 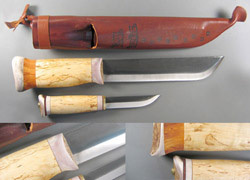 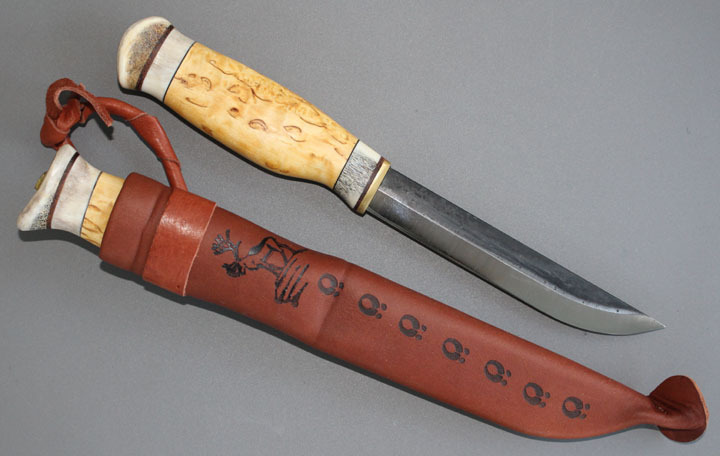 Each knife comes with a embossed leather sheath.